While Marcelo Bielsa has already named his starting lineup for Leeds’ clash with Swansea, it is less clear who will make up the Whites’ bench at Elland Road. With Leeds pulling off a number of comebacks this term, the seven men who make up the 18 will know that they could have a crucial role to play against Graham Potter’s side. 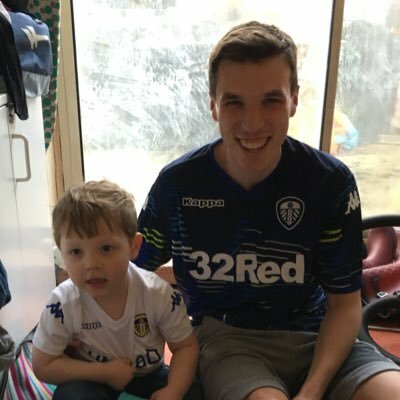 As long as there are no last minute problems involving Kiko Casilla, Bailey Peacock-Farrell will surely find himself on the bench. Aapo Halme was on the bench at Middlesbrough and played 45 minutes of Tuesday’s under-23 clash. With Gaetano Berardi still injured, he remains an important option. Leif Davis has become a regular fixture on the bench in recent months. His position may come under greater threat once Barry Douglas returns, but for now, Davis surely stays. No player seems to provide the versatility that Jamie Shackleton offers. He is a fantastic player to have on the bench, and may well feature if Leeds need some energy. With Jack Clarke sidelined, Jordan Stevens may be the man to step up. The 18-year-old could bring some excitement to proceedings if handed his second league appearance. Could tomorrow be the day for Izzy Brown? He played for the under-23s on Tuesday, but is set to be involved on Wednesday. Could his debut finally come? With Tyler Roberts looking bright in recent weeks, do not bet against the youngster making an impact against the Swans.